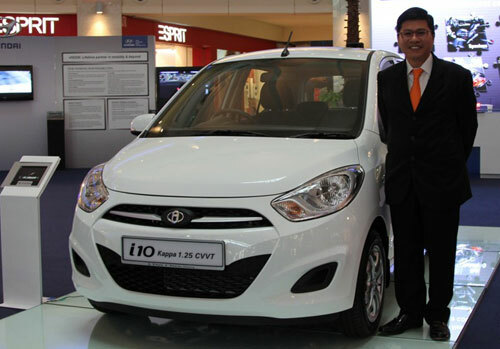 Hyundai-Sime Darby Motors (HSDM) has launched the facelifted Inokom i10. Besides Hyundai’s new corporate face, the latest i10 also comes with an improved 1.25-litre Kappa engine. The range now consists of three variants, an entry level 1.1L, 1.25 standard spec and 1.25 high spec, priced at RM47,988, RM50,688 and RM53,988, respectively. The 1.25 Kappa engine’s main improvement is the addition of Continuously Variable Valve Timing, or CVVT. Power and torque figures are also up on the previous non-CVVT unit – 86 hp and 120 Nm versus 79 hp and 112 Nm. Claimed combined fuel consumption is 5.3 litres per 100 km. There are no changes to the 1.1 Epsilon engine, which churns out 65 hp. Both engines are paired to a four-speed automatic gearbox. 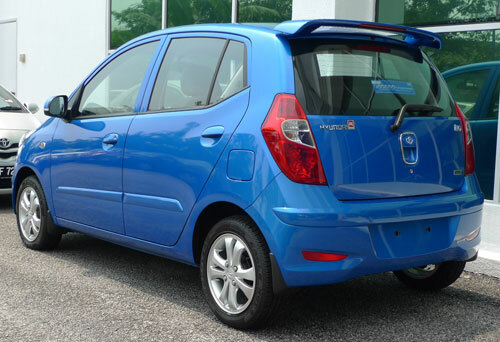 The i10 uses Hyundai’s Motor Driven Power Steering (MDPS, another name for EPS), which helps with fuel economy. Besides the new face dominated by that trapezoid grille, the i10 1.25 also spots a new rear spoiler and rear bumper plus elongated combination lamps. The bigger engined variants also come with new wing mirrors with LED indicators. There are also new design alloy wheels. Inside, the instrument panel is now illuminated in blue (used to be green), with the addition of a digital display. 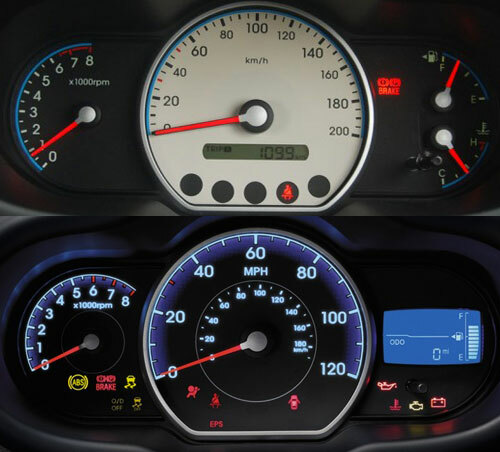 It shows a digital fuel gauge and gear position, things that were previously not available. The audio system has MP3, USB and AUX input, as well as a remote control. Spec wise, equipment exclusive to the 1.25 high spec are ABS with EBD, dual front airbags and fog lamps. The i10 1.25 Kappa CVVT is available in four colours – Alpine Blue, Ice Silver, Crystal White and Oyster Grey. The 1.1 can be had in the same shades, except for Oyster Grey, but with the added choice of Stone Black and Champagne Gold. 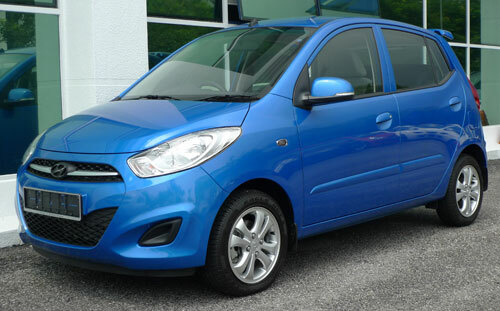 The i10 is one of our favourite small cars; read the review of the pre-facelift i10 Kappa here. More pictures after the jump.